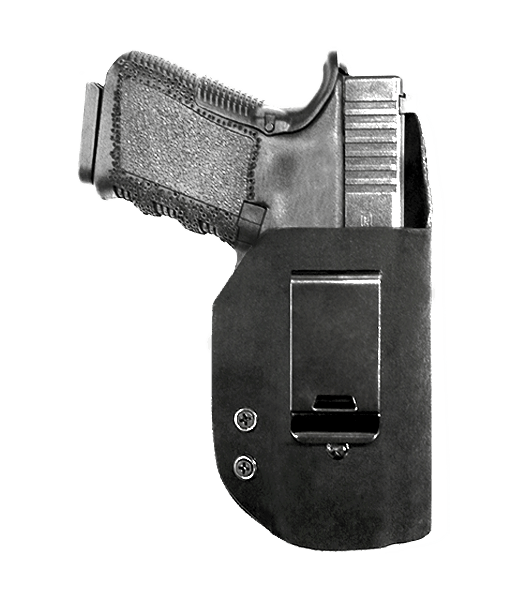 The Contour Style #X10 IWB holster has a full Kydex front with double lined suede over full grain leather on the back. 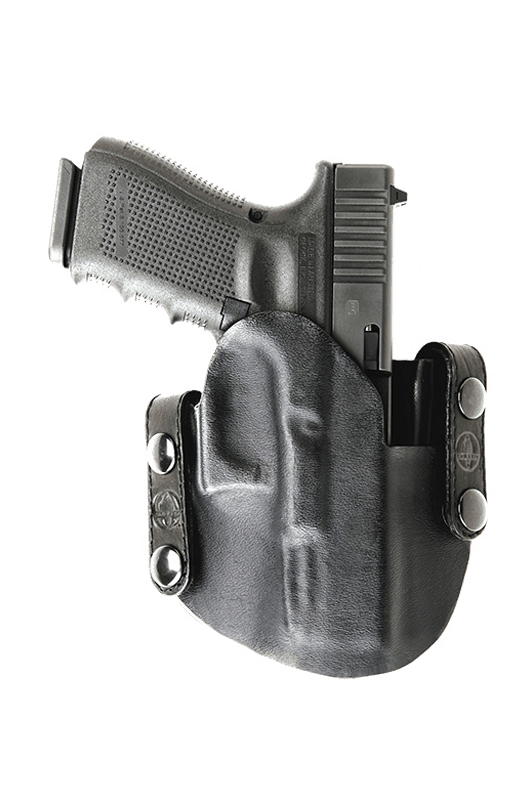 This is an in the waist band holster. It has brass hardware and a double spring steel clip on the back for balance. 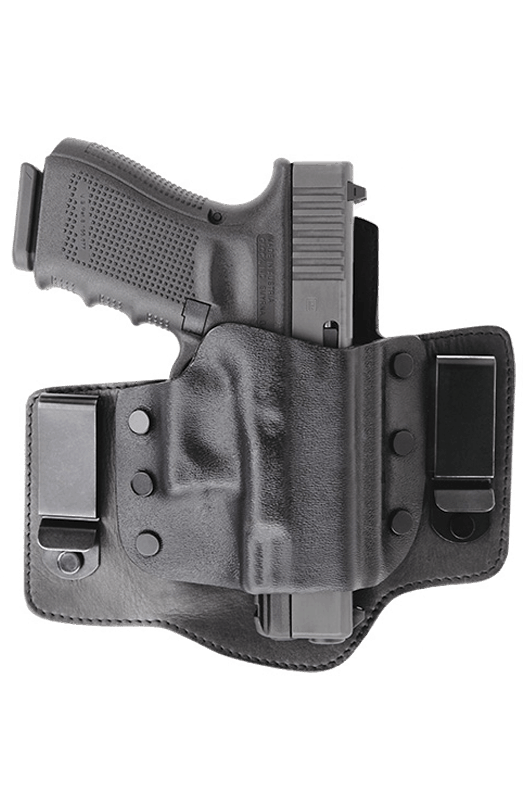 The Kydex front stays open for easy re-holstering and the leather back helps to press the weapon tightly into the Kydex. The X10 is designed for the ultimate grip while also offering a quick, smooth draw. 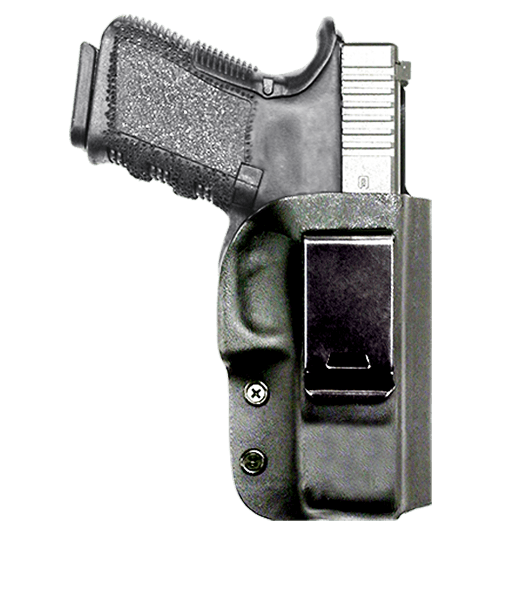 All of our holsters are custom molded for the perfect fit. 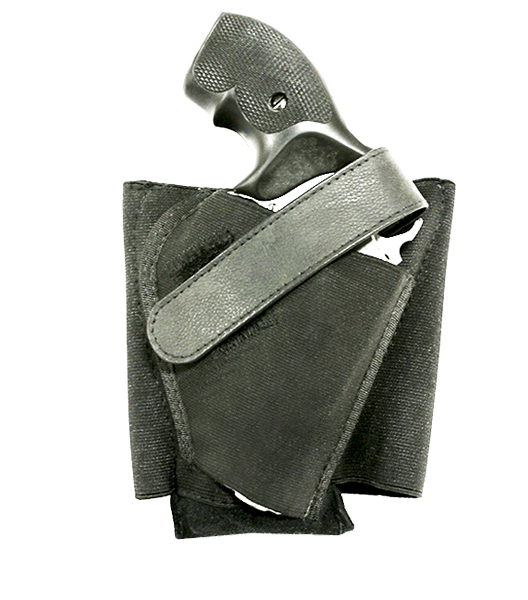 It is contoured for extra comfort with a high back to keep perspiration off of your weapon. 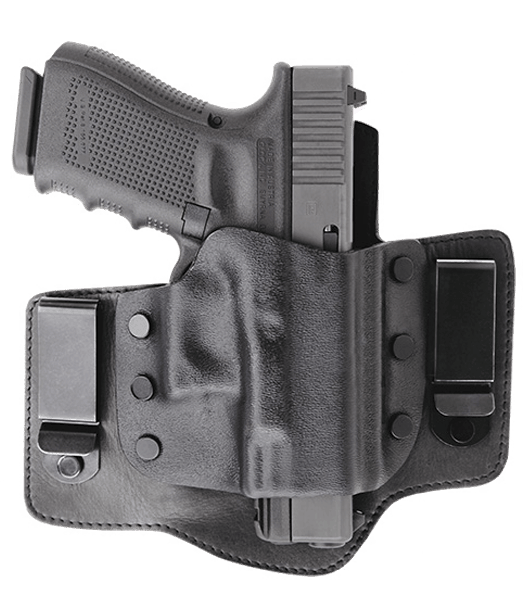 The X10 is one of our more concealable holsters as it is designed for a close fit. On top of all these great features the X10 includes an embossed Cobra Gunskin logo, molded site tracks, and burnished edges to complete the look.